Selected special contacts can reply with “urgent” to break through the phone’s automatic message blocker. The phone can automatic engage this new Do Not Disturb mode by using Bluetooth, if enabled, to check if it’s connected to a vehicle. Alternatively, the iPhone can also use the doppler effect with Wi-Fi signals to determine if it’s travelling in a vehicle. 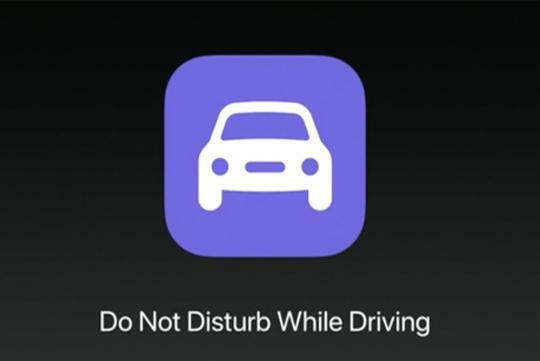 For passengers, the Do Not Disturb While Driving mode can be disabled via the prominent “I’m not driving button” on-screen button. Apple says the new feature is designed to “improve safety in the car” for iPhone owners who don’t have a vehicle equipped with a CarPlay compatible infotainment system.